As most of my friends know by now, I’m in the middle of a 50 by 50 challenge. That’s 50 consecutive chin-ups by my 50th birthday in August. I know people who know people who’ve done it and I’ve seen videos of people doing more than 50, so I know it’s possible. Whether it’s realistic is another story altogether! Chin-ups must be performed using an overhand grip. Some people would call that a pull-up. Each chin-up must go to a dead hang. That means the arms must be fully extended at the bottom of each rep. The feet must not touch the ground at any point of the set. No mechanical or other assistance is allowed e.g. no exercise bands. My best set so far has been 12 but since then I’ve gone backwards. Today I only made it to 6. But I’m undaunted! 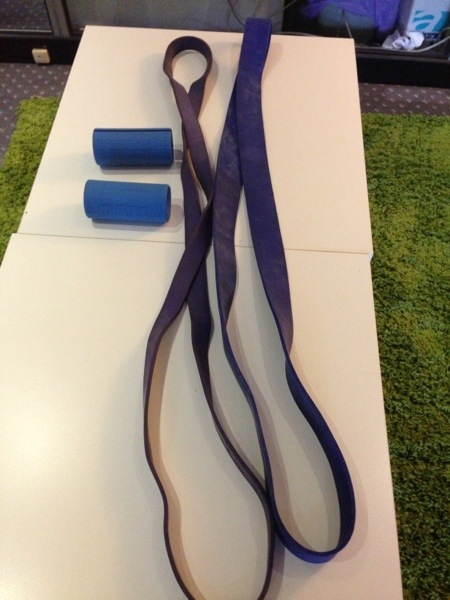 Thanks to Henry Day I’ve shifted my training in a new direction and am now going for increased reps using exercise bands. Henry recommended I use the bands to get myself up to 60 reps in a set then gradually reduce the reliance on the bands. I’ve also modified my diet, thanks to advice from Simone Allen from Nutrition Works. The goal is to cut my body fat percentage down so I’m lifting less unnecessary weight. So far I’ve dropped from 81.5kg at 11.9% body fat to 79.6 and 10.5. I’m also going to start doing weighted chin-ups again to increase my strength. I figure that both strength and endurance will be needed if I’m to achieve my goal.